Photos: Glengarriff woods, Co. Cork, SW Ireland. 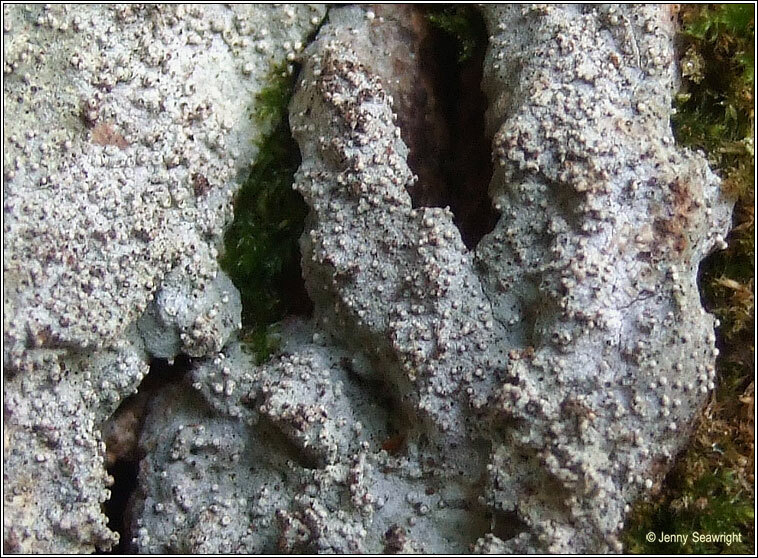 Thallus whitish to dark grey, thin or effuse. 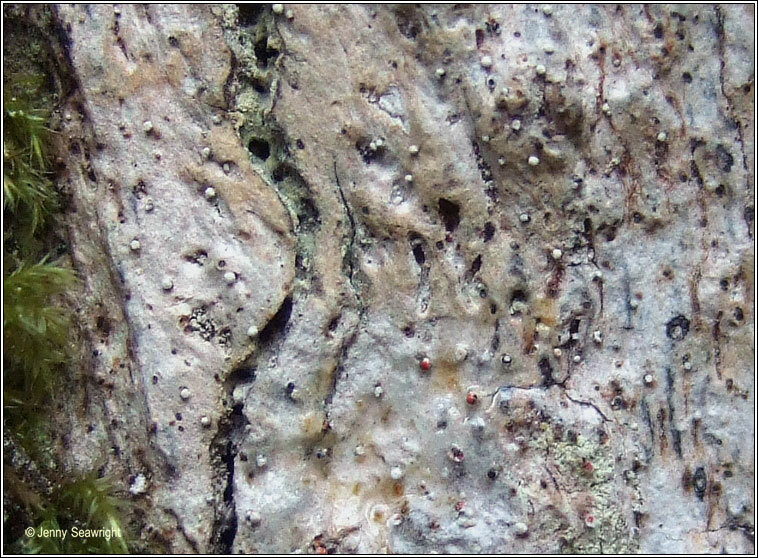 Numerous scattered pycnidia with white-pruinose tips, the pruina C+ red. 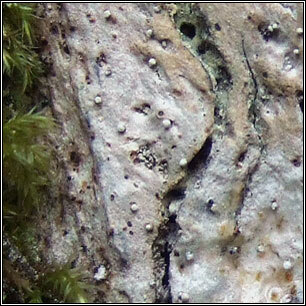 Often infertile, when present the apothecia are brown and usually thickly grey-green pruinose, the spores 3-septate. 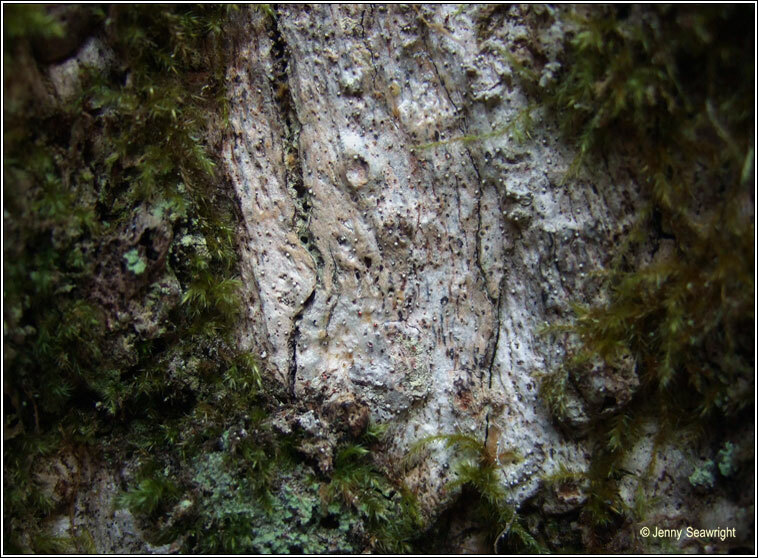 Widespread on the dry, shaded side of acid-barked trees in mature woodland. 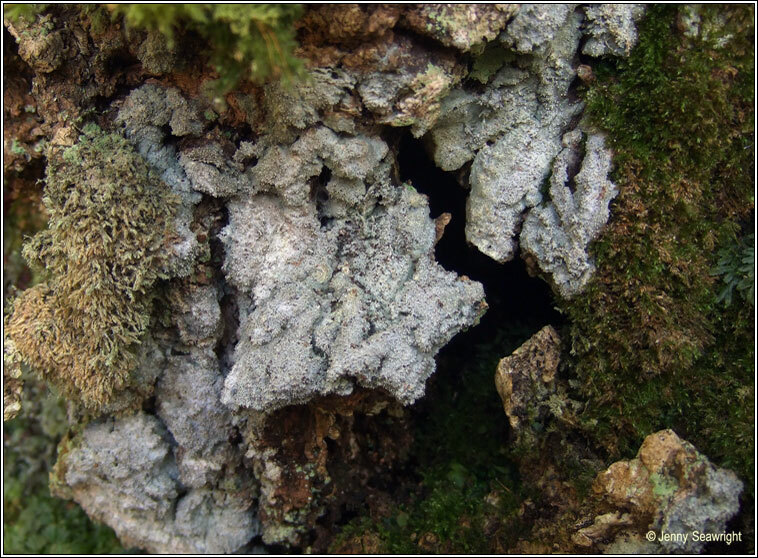 Sometimes on mosses under overhanging acidic rocks.